"Thank you to Buzz City and the Hornets organization," Stephenson wrote. "While the past year didn't work out as I hoped it would, I really enjoyed my time in the city of Charlotte. I will thoroughly miss the Hornets fans and my teammates who were very supportive of me over the last year. I wish the Hornets success going forward and I'm looking forward to doing whatever I can to help bring a championship to Los Angeles and Clipper Nation." "Didn't work out as I hoped" is one heck of an understatement. This time last summer, Stephenson was coming off a star-making season as the starting shooting guard for the Indiana Pacers, averaging career highs in minutes, points, rebounds, assists and steals per game while posting a league-leading five triple-doubles and playing an integral defensive role for a team that led the league in points allowed per possession. But despite his physical gifts and his development into a near-All-Star-caliber performer over the course of four seasons in Indianapolis, Stephenson also carried quite a bit of baggage into free agency, coming off an Eastern Conference finals in which his erratic actions earned national headlines and plenty of derision, even within Bankers Life Fieldhouse. The season-ending squall followed plenty of in-season smoke about Stephenson having a damaging effect on the on- and off-court chemistry for a Pacers club that raced out to a brilliant start to the 2013-14 season before spending most of the second half of the season self-destructing. The miserable final few months led to myriad questions about whether Indy's decision-makers even wanted Lance back. 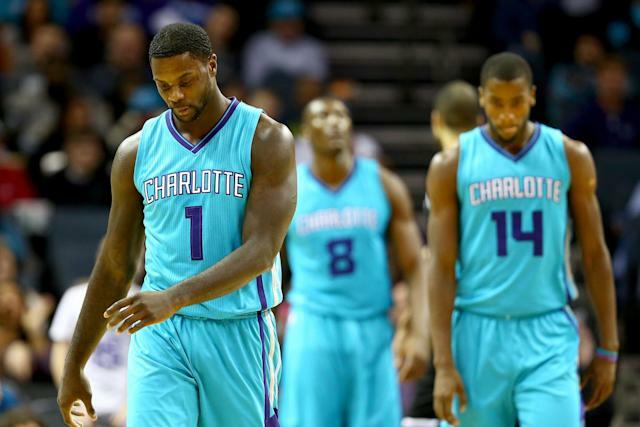 As it turned out, the Hornets wanted Stephenson badly enough to render those questions moot. General manager Rich Cho crafted a three-year, $27.4 million deal structured in such a way as to provide Lance both more upfront money and more short-term flexibility than the Pacers' reported five-year, $44 million offer. Stephenson took the shorter deal betting that he'd continue to improve and merit consideration as a maximum-contract-worthy unrestricted free agent come the summer of 2017, when the salary cap will have skyrocketed thanks to the league being flush with cash from the NBA's new $24 billion broadcast rights deal. Cho offered richer upfront guarantees betting that a Charlotte club that had just made the playoffs for the first time since 2010 would benefit from the infusion of an athletic two-way playmaker. It was a gamble, and both sides lost, as Stephenson's shooting numbers — respectable if not elite during his last year in Indiana, at 49.1 percent from the field and 35.2 percent from 3-point land — fell off a cliff. He seemed uncomfortable alongside Kemba Walker and Al Jefferson from the jump, shooting just 38.6 percent from the floor and a ghastly 15.1 percent from long distance through his first 25 games, with the Hornets opening a disastrous 6-19 to start the season. Charlotte played significantly better with Stephenson off the court, leading head coach Steve Clifford to bench him for entire fourth quarters on multiple occasions. A pelvic strain sent Stephenson to the injured list for 14 games, and had him coming off the bench upon his return. Things never improved, as Clifford said frankly that he just couldn't find a lineup that played well with Stephenson on the floor; the Hornets finished 16 games under .500, missing the playoffs by a mile with Stephenson turning in arguably the worst long-range shooting season in NBA history. The marquee signing just didn't work, which everybody involved evidently knew as early as December, and which — postseason discussions of correctable problems aside — Cho confirmed Monday, according to Rick Bonnell of the Charlotte Obsever. “Sometimes when you make a trade or a signing it just doesn’t work out well,” Hornets general manager Rich Cho said in a conference call. “He never fit in great. “Sometimes you don’t know how (a player) will fit until he plays for your team.” Stephenson went from a starter to a reserve to briefly a player out of the rotation entirely. Cho said he did not become a locker-room distraction despite his frustration with the situation. Cho said he was under no orders to move Stephenson. However he reflected on owner Michael Jordan’s philosophy that well-run franchises acknowledge mistakes and act quickly to address them. Cho and company will hope that Hawes can provide the floor-spacing frontcourt shooting and playmaking that they lost when Josh McRoberts joined the Miami Heat last summer. But how he bounces back after shooting an underwhelming 31.3 percent from long range in L.A. last season — and how he fits alongside/in place of center Al Jefferson, a similarly plodding big man who struggles in defending the pick-and-roll or protecting the rim — remains to be seen. Hawes could offer an interesting change of pace at the five spot in small-ball lineups alongside defensive stalwart Michael Kidd-Gilchrist, and the Hornets' cap sheet is clean enough to absorb the multi-year hit without significantly compromising their future flexibility. But he further crowds a frontcourt mix that already features centerpiece Jefferson, 2014 signee Marvin Williams, the defensive-minded Bismack Biyombo and young lottery picks Cody Zeller and Noah Vonleh. If Hawes can't rediscover the offensive juice that made him an attractive stretch-five option and can't hold up well enough defensively to earn the kind of trust from Clifford that he never could from Doc Rivers, that looks like an awful lot to pay a dude who lost his rotation spot to Glen Davis and Hedo Turkoglu. Both teams, then, turn the page on a heinous signing and jettison an underperforming asset. The Clippers, though, do so in bright shiny ways, with big flashing lights and with very, very loud sirens. If Hawes doesn't play any better, he'll still profile as sort of a garden-variety overpaid underachiever who won't rock the boat; as ESPN.com's Arash Markazi notes, Hawes was a popular veteran in the Clipper locker "who went to Cabo with Blake Griffin and DeAndre Jordan after the season." If Lance looks like last year's model rather than the Pacers' version — and if he continues to cause the sort of internal strife about which many grumbled loudly in both Indiana and Charlotte — a Clippers side already pressed to take the next step coming off a fourth straight pre-conference finals exit could find itself closer to the brink than ever. Then again, Rivers and the Clippers don't exactly have very many options for adding high-ceiling young talent. Giving Jordan a maximum contract in free agency to stick around and man the middle, as they're widely expected to do, will vault them over next season's projected luxury tax line, meaning they'll only have access to the taxpayer midlevel exception and minimum-salary slots to use in free agency. 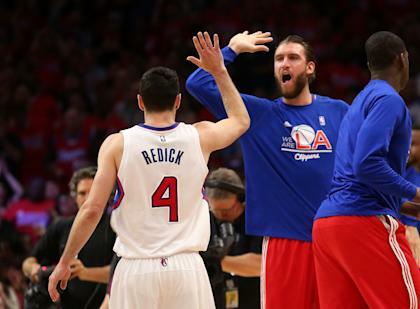 The picture's even more dire when you consider the Clippers' trade assets, or lack thereof. L.A. owes its 2015 first-round draft pick as compensation for the Boston Celtics allowing Doc out of his contract to go coach the Clips, owes its 2017 first-rounder to the Milwaukee Bucks as part of last summer's trade offloading Jared Dudley, can't trade its '16 first-rounder due to the Stepien rule, and doesn't have a second-round selection to swap until 2019. Moreover, they had only five non-Blake-or-Chris Paul players under contract and eligible to package in a deal — Hawes, Barnes, starting shooting guard J.J. Redick, sixth man Jamal Crawford and sparingly used rising sophomore wing C.J. Wilcox. Given the paucity of attractive chips available, it's kind of remarkable that the Clips imported a not-yet-25-year-old swingman who has had NBA success, can handle difficult defensive assignments and can serve as a daring supplementary playmaker. It's kind of staggering that they did so while actually saving some money, and retaining the flexibility to hit the eject button by turning down Stephenson's $9.4 million team option for '16-'17 if things don't pan out. Or, at least, it'd be remarkable and staggering if we didn't know why Los Angeles got the deal it did. If Doc can reach Stephenson the way Larry Bird did, if Lance falls in line behind CP3's iron-fisted leadership and if he can rediscover his stroke and his hell-bent-for-leather rim-attacking success playing in lineups featuring more shooting, scoring and playmaking talent than he ever saw in either Indiana or Charlotte, he could be precisely the sort of game-changing two-way wing player the Clippers have long needed. If he can't, this could become a flaming trainwreck faster than you can Photoshop Lance blowing into a concerned Steve Ballmer's ear. These are the stakes, and that's the cost of doing business. This is a buy-low, high-potential-reward move that likely constitutes the best L.A. could have done given its constraints. It's also a massive gamble that could further destabilize an already-pressure-packed situation and lead to another round of "sorry it didn't work out" statements next summer. Either way, this ought to be pretty flippin' fascinating.